Occupied Earth is a groundbreaking anthology that explores the idea of what the world would look like years after its conquest. 20 years after a successful invasion by the Makh-Ra, humanity still exists, only it has become subservient to a race of occupiers who govern the devastated planet. But, as much at things continue with some sense of normalcy, something has happened in the Mahk-Ra's empire. Earth, once considered a strategic beachhead of major importance to the Empire, has been downgraded in its value. Things are starting to degrade. Our planet is the last place any self-respecting Mahk-Ra officer wants to be assigned. Yet, despite everything, life continues. These stories bring us face to face with annihilation -- and show how we can pull ourselves back from the brink. 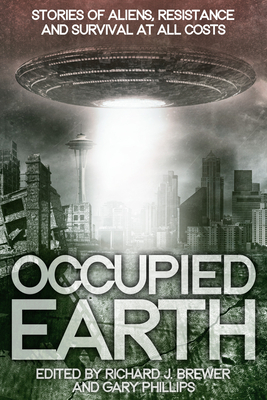 Featuring Rachel Howzell Hall, Lisa Morton, Matthew V. Clemens, Howard Hendrix, Nathan Walpow and more, OCCUPIED EARTH is coming. Stay safe. Stay strong. Survive at all costs.